Ella Baker Day is in 5 states this year. 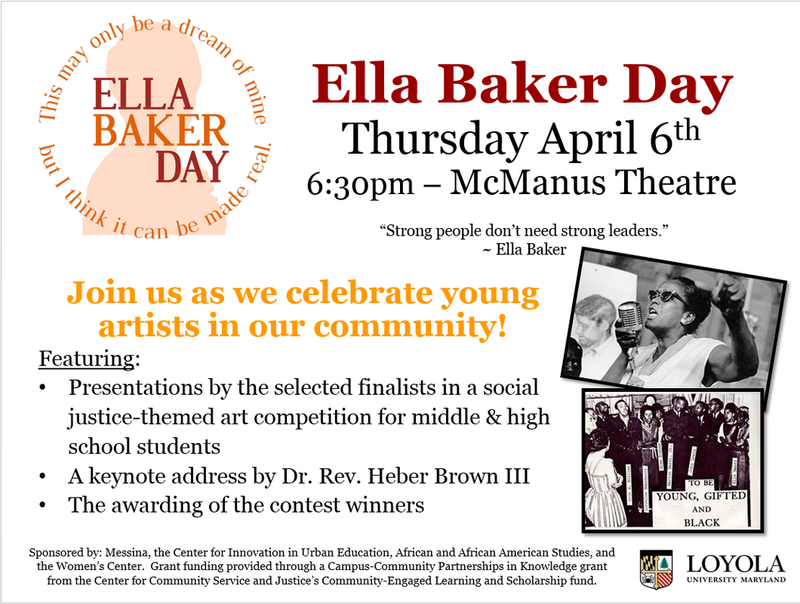 See the details on your Ella Baker Day here! 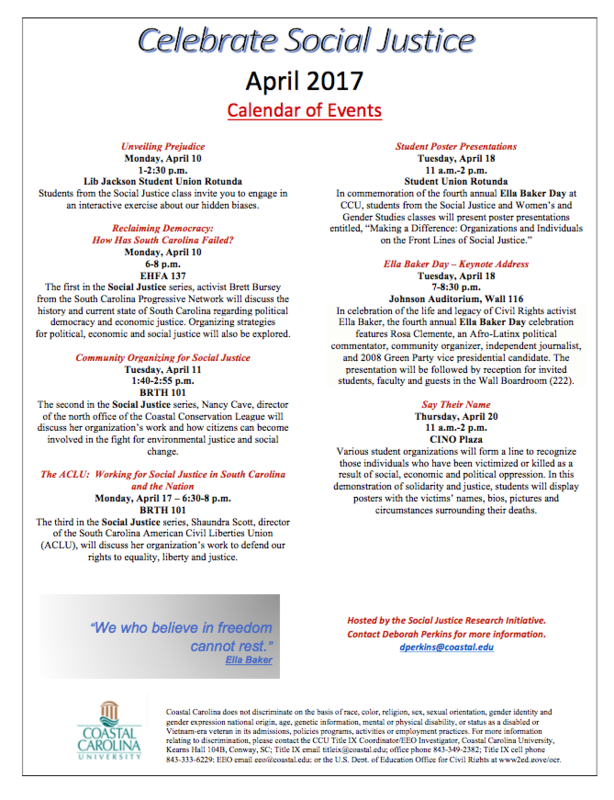 ​West Room, Reid Castle : 6:30 p.m.
Donna Hylton has been deeply involved in movements for social justice around the country. She draws upon her experience imprisoned in a women's correctional facility for 27 years, with some of that time spent in solitary confinement. Now free on parole, she emphasizes the importance of building communities through economic, racial, and gender justice. ​Donna is a founding member of From Life to Life, a national initiative dedicated to dismantling the prison industrial complex. She is especially concerned with the general tendency to devote more resources and attention to dismantling a prison system that preys upon the weak and victimized; she urges communities to think seriously about school to prison pipelines and the pathways that resulted in women, over 80% of which have been abused, being incarcerated, especially women of color. Donna is a key member of the Correctional Association’s “Violence Against Women Committee on the Inside.” She earned a Bachelor of Science degree in Behavioral Sciences with a concentration in Social Psychology and a Masters of Arts degree in English Literature from Mercy College. Donna is also an advisory committee member for the New York Women’s Bar Association’s Parole Prep Project, a 2015 JustleadershipUSA Fellow, a key member of the Women and Justice Project that is “reimagining” the former Bayview Correctional facility into a Women’s Resource Building, and a founding member of the National Council for Incarcerated and Formerly Incarcerated Women and Girls. Donna is also the co-author of her biography “A Little Piece of Light” to be released in the Fall of 2017. Mrs. Yolanda Johnson-Peterkin joined the New York City Housing Authority, in an Administrative role as the Chief of Housing and Activities. This position gives her an opportunity to work on systemic change by reunifying formerly incarcerated people with their families. This unique program has been launched by the Department of Housing and Urban Development as a best practice guide and toolkit entitled: It Starts with Housing: Public Housing Agencies Are Making Second Chances Real. This publication highlights best practices and case studies that can be replicated by communities looking to build their own reentry housing programs to improve housing opportunities for returning citizens across the country. Mrs. Johnson-Peterkin received her Masters degree in Social Work from Hunter College in 2004. 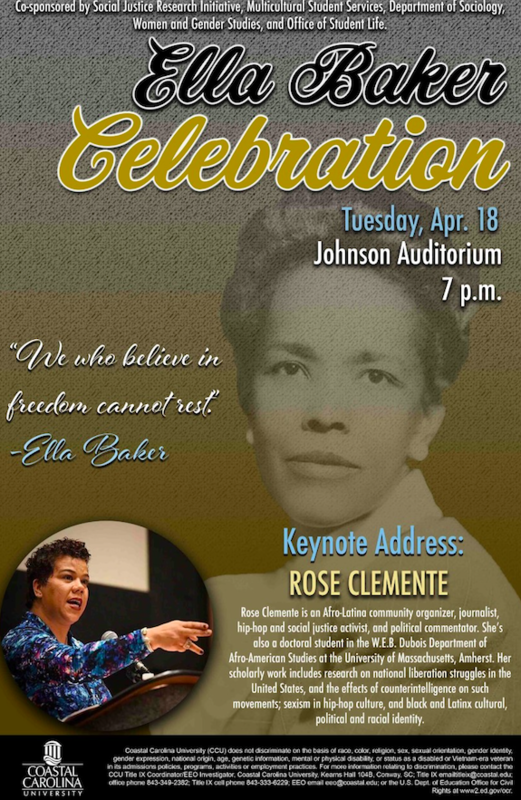 She has received honors from the Correctional Association of New York, Citizens Against Recidivism, and the NAACP. Mrs. Johnson-Peterkin is an active alumna and Board Member of the College and Community Fellowship program where the mission is to help formerly incarcerated people achieve their goals through higher education. Yolanda Johnson-Peterkin has been described as the “Ambassador of Freedom." James “SoSoon” Gantt is a New York City Hip-Hop artist, producer, scholar and educator. The moniker So Soon, an acronym for S ound O f S omething O ut O f N othing represents the heart of Hip-Hop culture which was developed by people who had no access to outlets for creative expression. James obtained his bachelors of arts in September of 2015 from Goddard College where he unveiled portions of his project SOONY (Sound Of Old New York) as part of his senior presentation. According to James, “the goal of SOONY is to bring attention to the history of New York and the positive contributions of blacks throughout its development.” SOONY is currently available on all major digital streaming sites and stores . The album will be supplemented by a book detailing the inspiration, process and meaning behind each of the eleven songs from the album, making for an innovative experience that is rarely seen in music. James is currently the After School Program Coordinator at Reel Works Teen Filmmaking, where his primary goal is helping students obtain 21st Century skills that will directly transfer to their professional career choices after completing school. Manhattanville Cafeteria : 12-2 p.m.